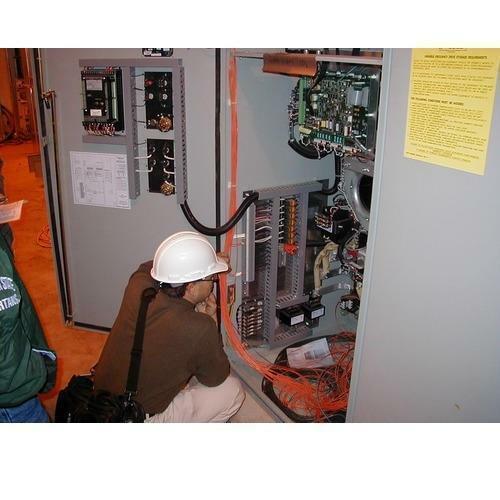 Our organization is rendering AC Drives Panel Services. This service is completed at low prices. This service is handled by professionals who have affluent industry practice and skill. Additionally, this service is widely admired in the market for their timely completion. Established in 2009 at Ghaziabad (Uttar Pradesh, India), we Unicorn Automation Private Limited is the leading Manufacturer, Trader, Exporter and Service Provider of Electrical Power Panels, AC Drives Panel, PLC Control Panel, DC Drive and much more. Offered products are manufactured using the finest quality components under the guidance of skilled team of professionals with the help of latest machines. The entire range of products is highly appreciated by our clients for high performance, corrosion resistance, easy installation, robust construction, accuracy and long service life. Available in various specifications, these products can also be custom designed as per the specifications provided by the clients. Furthermore, we are prominent Dealer of Leuze Electronics products and authorized System Integrator of Wago. We have support of modern infrastructure unit which is alienated with various departments like manufacturing, quality controls, sales & marketing and many more. It is integrated with several departments such as production, quality testing, research & development, warehousing & packaging, etc. All these departments are handled by our experienced professionals. Our professionals are highly devoted towards the growth of the company and work in close coordination with one another in order to accomplish the pre-determined goals of our organization. Mr. Ravi Kumar (Director) is the proprietor of our company who motivate to entire team in an effective manner. We have attained maximum clients’ satisfaction by providing them world class products as per their needs within promised time frame.